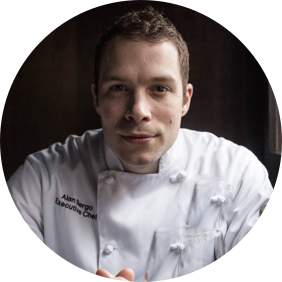 Chef Alan Bergo is a 16 year veteran of the Midwestern culinary Industry. He was previously executive chef of The Salt Cellar and Lucia’s restaurant, as well as sous chef to Lenny Russo at St. Paul’s famed Heartland. Bergo is most widely known as an authority on wild Midwestern ingredients from his website foragerchef.com, a culinary journal and resource, as well as worldwide network of foragers.